All these were knit last year but not yet featured here. 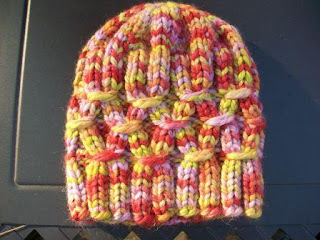 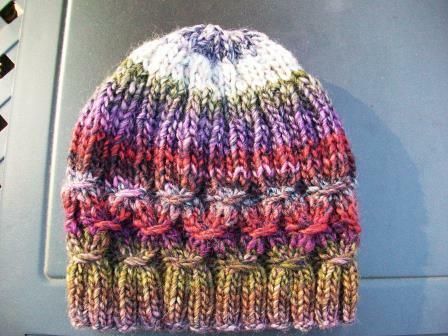 The first two hats (first three photos) were knit using the pattern Techno Hat by Colleen Powley. The yarn for the first one is Creative Melange Chunky by Rico Design. The yarn for this one is Charisma by Loops & Threads. 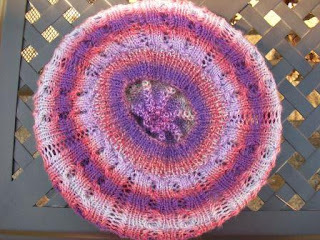 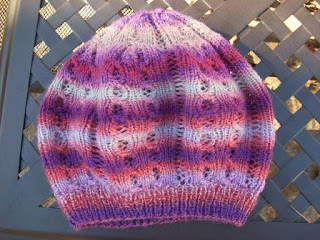 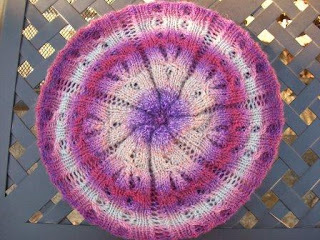 The pattern for this white hat is Hermione Hearts Ron by Christy Aylesworth. The yarn is HiKoo by skacel Simplicity. 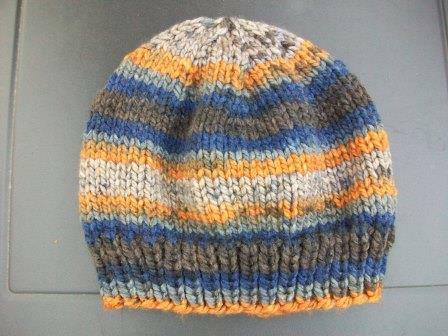 These next two photos are of three hats made using leftovers from other hats with basic hat pattern. 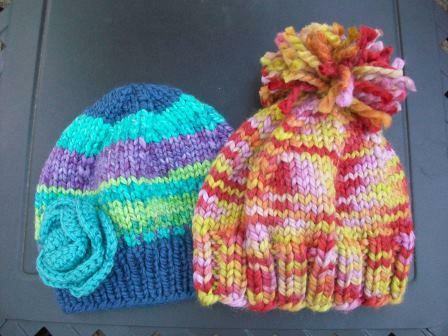 A crocheted rose and a pompom added to two of them. 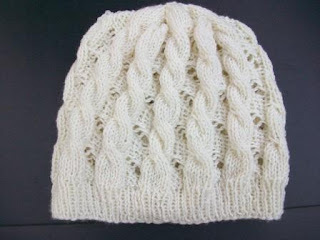 The last three photos are of a hat knit using the pattern Lace Tam by Lois Young. 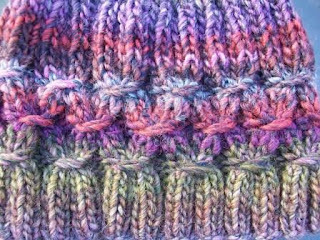 The yarn is Crystal Palace Yarns Sausalito. This photo is from the top. This photo is from the underside. 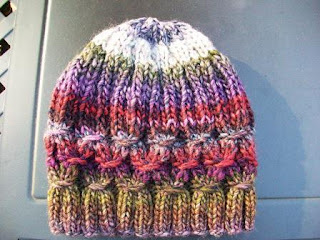 This one from the side.